I am amazed that it has taken me so long to come across info like this. I have much more research to do inlight of what I have learned from this book along with other similar literature. 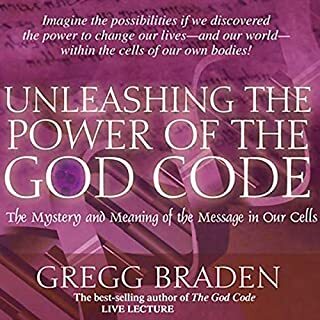 Gregg Braden spoke on many topics concerning science and spiritual matters and proposed each ones' link to the other. It is very fascinating stuff. "Gregg" was generous with sharing where to go to do your own research into what he has presented in this book. I loved hearing his unique way of presenting his discoveries. Moreover, when the author narrates their own publication, one can pick up on, what comes across as genuine heart felt expression for the topic being presented - instead of the common robotic reading that usually occurs otherwise. My only suggestions would be to tweak the audio along with the material being way to short in my humble opinion. I wanted more. :-) Some do not appreciate long run times but I simply eat it up when the content is of good quality. The longer the better under those circumstances. I look forward to taking advantage of the referral info in my follow-up research to this content. Plus I will be checking out his other books. Being that it's the end of 2018 I'm anxious to learn the latest updates, if any, in the various fields of "spiritual" and "science" endeavors. Tony is a wonderful speaker. Very personable and comes off genuinely caring. However, I have to agree with another reviewer that this book was way to short. 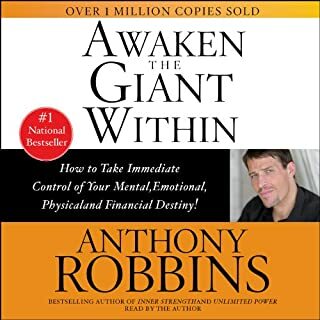 One other thing that I would like to share and it's naturally just my opinion but I much prefer "self-help" books to be read by the actual author. All to often the assigned narrator sounds listless and board. When the author reads their own book, the material comes alive! The listener picks up on the author's heart during the session. I'm usually disappointed in the audio book in the first case. But not this time! Thanks "Tony" for taking the time to bring forth the essence of your heart through this audio book. I remember when my mother first bought this book back in the 80's - I couldn't receive it's message back then. Took me almost thirty years later but I finally got it. Now for the first time in my life I have hope for a better me. This book along with others are aiding an awakening within my heart. While I have a ways to go, I know that I "will" get to my desired destinations step by patient step. My only issue was the narrator as she may habe been considering herself doing her best she came off as if she were board with this particular assignment. I love when the author reads their publication! After all, no one can quite express one's story as authentically as the actual author can. 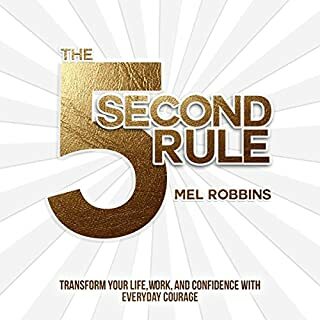 "Mel Robbins" delivered one of the most raw but authentic narrations I've ever heard! She even allowed for her reading stumbles to remain in her recording! That truly impressed me! It told me that she was gonna be real no matter what. While I'm not an advocate of the use of expletives I don't obsesse over it as I have come to realize that that form of expression is unfortunately here to stay. Don't get me wrong...there was a time in my life when I defaulted to the use of profane language years ago but realized later that it only served to exasperate my negative emotions so I don't use those words any longer. In any case, I simply adored "Mel's" narration style as she kept me engaged as she told her story. Her special personality moved me through contemplation, laughter and ...well...more contemplation. As she shared, what I discovered as I began to survey my life was that I had occasionally tapped into the 5 second rule inadvertently in some instances but never made the connection therefore did not develope the consistency necessary to evoke meaningful change. This is why it is so important to allow for each person to fulfill their lifes' calling and in place so that every other person can benefit from that gift! Thank you mam for following through with the inspiration of "The 5 Second Rule" - as I have added "your" personal gift to my tapestry of ~inspiration~ which is aiding me in bringing together the various parts that are leading me to "my" calling/gift which must be shared as well. 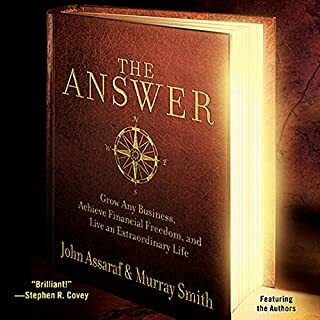 I honestly avoided this book at first because, quite frankly, I just wasn't in the mood for another how-to publication dealing with the many aspects of leadership in business. I greatly misjudged or should I say, mis-categorized this book. It's contents is full of life wisdom more so than just mainly focused on business. You can almost hear and sense the authors heart which came off very genuine to me. Which truly drew me in and enabled me to critically look at myself and life with unbiased eyes. Truly an opportunity to do some gritty soul searching. 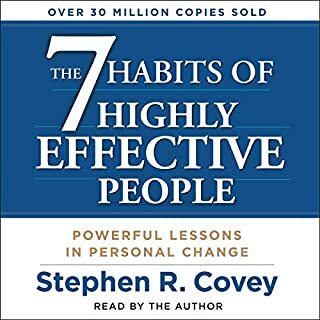 I highly recommend this book to anyone who is ready to be truthful with themselves and in implementing the principals shared. No one ever not gives "Shakespeare" his props when he is quoted so why is it that some folk have such an issue, at times, giving credit to the Word of GOD if that is where a quote comes from??! james allen is NOT the originator of the quote, "...as a man thinks in his heart so is he..." Proverbs 23:7😕 Irregardless to the fact that this particular statement was not necessarily credited to --james-- still, no one ever does this kind of thing to Shakespeare! Give the credit where the credit is due...please. Other than that, in my humble opinion, the book and its content is inspiring and I dare say beneficial if practiced as prescribed. I am beginning to see results myself at long last. And yes, just as the author so honestly stated, the gestation period will vary as my own has been nearly five years since I began this journey of self development. I've come a long way but still have a ways to go. Your journey may not take as long but if it does, don't dispare. Instead be encouraged. Since each of us is so different and unique; we each come from varying backgrounds. The lies Christian women believe are at the root of their struggles. 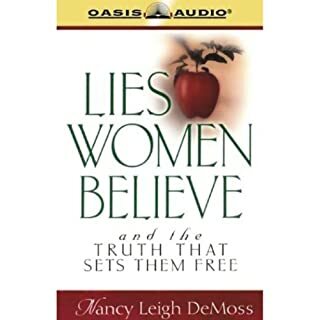 In Lies Women Believe, Nancy Leigh DeMoss exposes areas of deception common to many Christian women: lies about God, sin, priorities, marriage and family, emotions, and more. She deals honestly with women's delusions and illusions and then gently leads them to the truth of God's word that leads to true freedom. 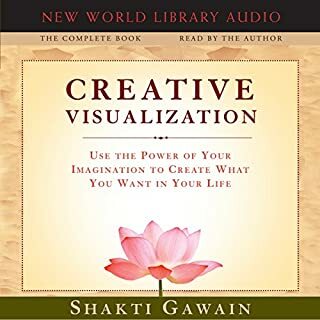 Wow...I truly have been given soooo much to ponder after listening to this book. It literally caused a light to go off inside my mind and a melting to occur within my heart. "Nancy" meticulously walks you through each --lie-- and then each --truth-- with skil and precision. She made it so easy for me to follow along from point to point that I felt as though I had taken a much needed rest from all my day-to-day toiling. 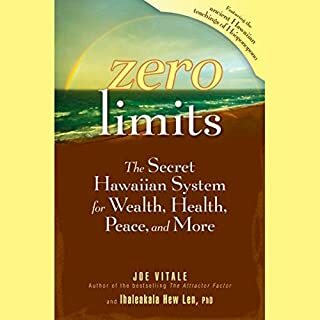 Listening to this book was so refreshing! I intend to invest in the hardcopy of the book and workbook. This book would be more suited categorized as a business text or handbook. While I'm not a professional business person --yet-- from the publications that I have read over the last two years, in comparison, "Lisa" covers biz techniques and processes quite theroughly. She meticulously walks you through each step in a methodical manner. 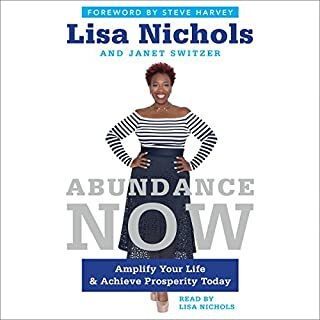 If you are at that point in your business effort where you are ready to move forward then this book is an ideal addition to your business library. 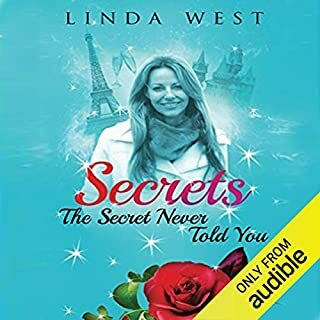 However, if you're more like me and do not quite have all the pieces of your puzzle layed out, then you can listen/read for tips to aid you in your journy as I am doing. Moreover, there are factors to life that "Lisa" expressed that I'm not quite sure I agree with but all-n-all in my humble opinion this is a sound text to draw from. Upward and onward. Thanks for reading my two cents worth. This book is far better , in my humble opinion, than its sequel, "At Zero." I managed to glean far more beneficial nugguts than from its suscessor. Being that I aparently am making these discoveries in 2017, I really need to experience a Ho' oponopono siminar. I believe that the content is valid and at least worth the effort to investigate. Seek it out with an open mind.